Scientific investigation often generates as many questions as it answers. This has been particularly true in the area of oceanography. Big-picture questions (such as “How does the ocean react to global climate change, and what role does it play in ecosystem balance?”) can be answered by in-depth analysis of data collected over a significantly long period of time. In 1954, Dr. Henry M. Stommel initiated Hydrostation ‘S’ – a deep-water research mooring – to gather information on the physical nature of the ocean in an effort to address fundamental questions about currents and air-sea gas exchange. 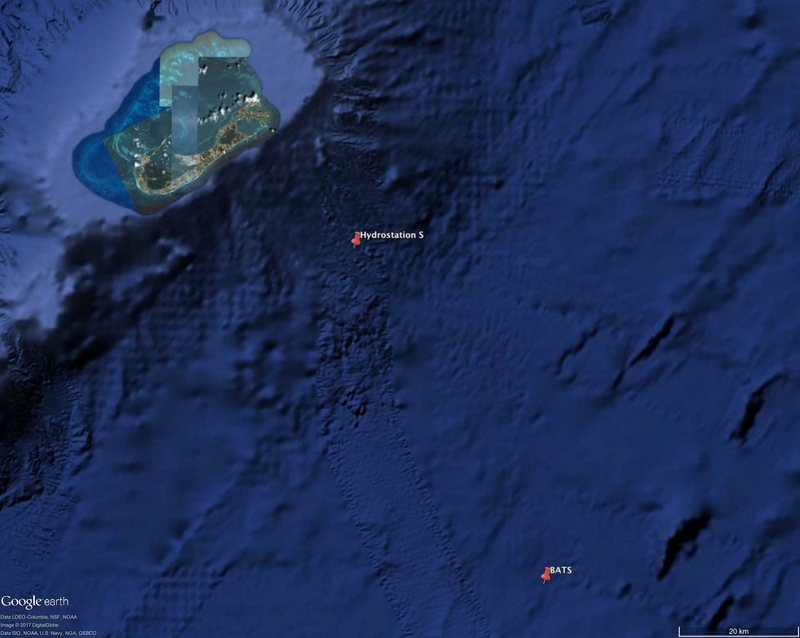 Since then, scientists have visited the station biweekly, resulting in the world’s longest-running time-series for physical oceanographic data, including temperature, salinity, and dissolved oxygen measurements. 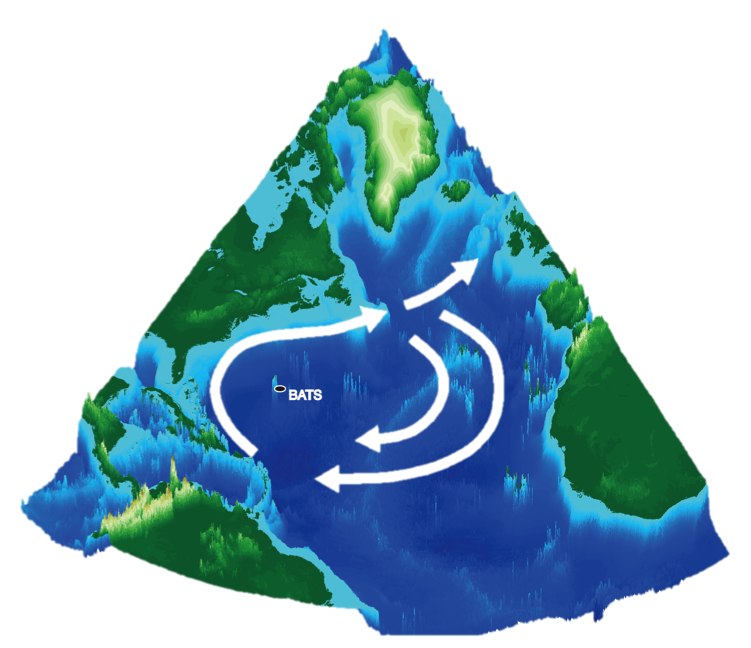 The longevity and success of the program eventually led to BIOS linking with the U.S. Joint Global Ocean Flux Study (JGOFS) program to start, in 1988, the Bermuda Atlantic Time-series Study (BATS), another long-term time-series study examining biogeochemical cycles in the Sargasso Sea near Bermuda. BATS was established to uncover mysteries of the deep by analyzing important hydrographic and biological parameters throughout the water column. Pursuing this goal has enabled BATS scientists — and oceanographers worldwide — to completely revise their perspective on the ocean’s physical, chemical and biological processes. Sustained time-series data collection has challenged longstanding paradigms and has begun to uncover exciting new observations about the ocean. BATS and Hydrostation S have proven invaluable in ocean and atmospheric science by producing data that helps us better understand global climate change and the ocean’s responses to variations in the Earth’s atmosphere. BATS and other deep-ocean time-series have highlighted the importance of biological diversity in understanding biological and chemical cycles, including “active” carbon transport by migratory zooplankton as part of the ocean’s Biological Carbon Pump. 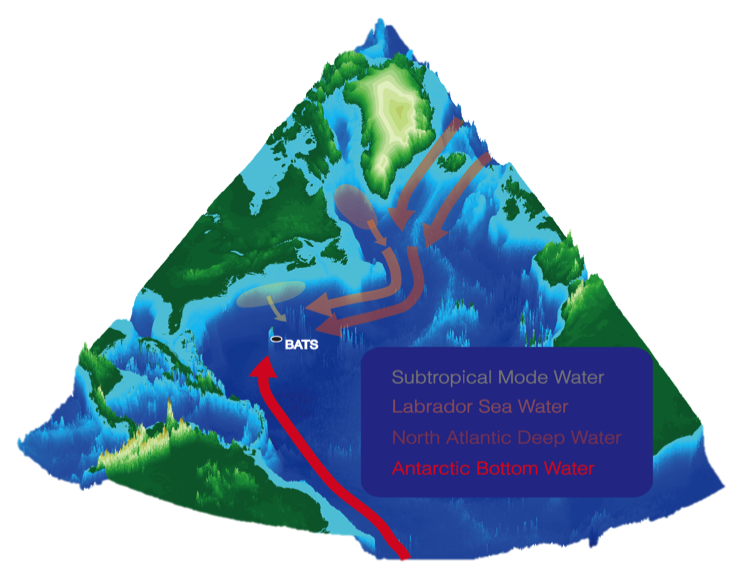 BATS scientists have also focused on carbon exchange between the ocean and atmosphere, seeking an understanding of how the ocean responds to increased levels of atmospheric carbon dioxide. 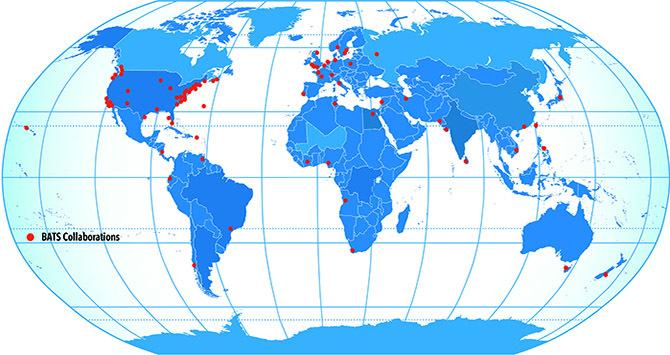 The BATS team, along with its collaborators worldwide, continues to explore open and active oceanographic questions, and to integrate new methodologies. By maintaining an innovative approach to ocean science, we preserve our position on the cutting edge of this vast and exciting discipline.